This small ceramic ivory dish is perfect to use with our new Candle on a Rope products which are a variety of square candles joined together by the wick. They are also perfect to use with our 2" diameter pillar candles. 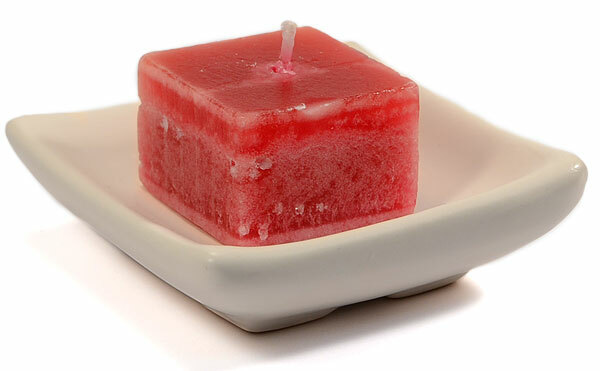 The graceful curved edges help catch any liquid wax without hiding the candle. 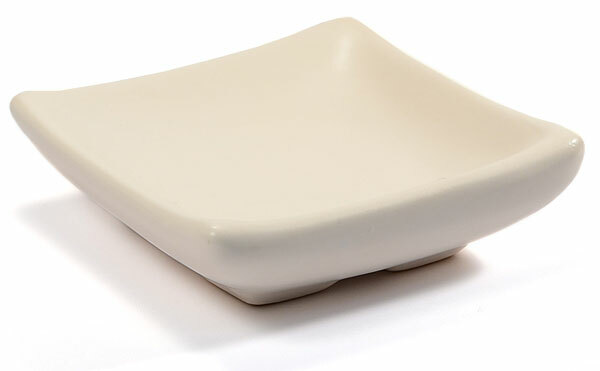 These square ceramic candle holders are raised slightly to protect your table surfaces from heat damage. The beautiful off white color will compliment just about any home decorating style.